Looking up the Colorado River as it flows through Horseshoe Bend, just east of downtown Glenwood Springs. The site is one of three where Glenwood Springs seeks to build a whitewater park. The city is now in the process of obtaining a water right for the parks but has yet to reach agreements with Aurora and Colorado Springs about the proposed water rights. 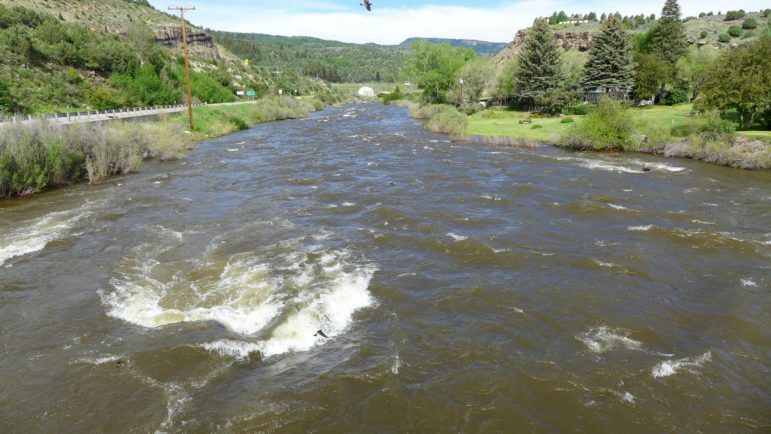 GLENWOOD SPRINGS – The city of Glenwood Springs is making progress toward securing a recreational water right for three potential whitewater parks on the Colorado River, but it has yet to come to terms with Aurora, Colorado Springs and the Colorado Water Conservation Board. Aurora and Colorado Springs are co-owners of the Homestake Project, which includes a reservoir on Homestake Creek in the upper Eagle River basin that holds 43,300 acre-feet of water. 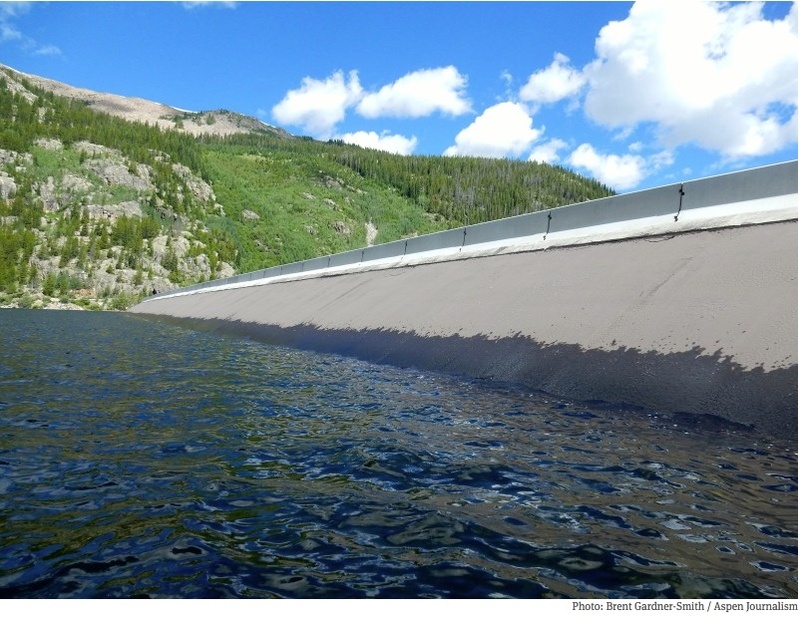 The water is stored and then shipped through the Homestake Tunnel to Turquoise Reservoir and on to the two Front Range cities, which also hold conditional water rights in the Homestake Project that could allow for development of more water. The two cities, acting jointly as Homestake Partners, have told the water court and the Colorado Water Conservation Board (CWCB) that Glenwood Springs is claiming more water than it needs for a valid recreational experience. And they say Glenwood Springs’ proposed water right for the parks would prevent the additional development of more water-supply projects in the upper Colorado River basin within Colorado. Looking up the Colorado River as it flows past the No Name rest stop on I-70. The site is one of three locations for potential whitewater parks that the city of Glenwood Springs is seeking a water right for. Glenwood Springs has filed for a single water right tied to “three proposed boating parks” to be known as the No Name, Horseshoe Bend and Two Rivers whitewater parks. Each park would include two wave-producing structures. 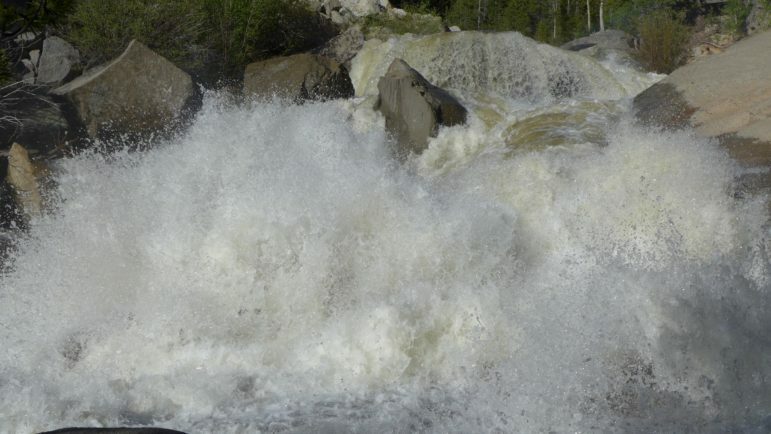 The whitewater parks would be able to call for between 1,250 cubic feet per second of water from April 1 to Sept. 30, for 2,500 cfs between June 8 and July 23, and for 4,000 cfs for five days between June 30 and July 6. 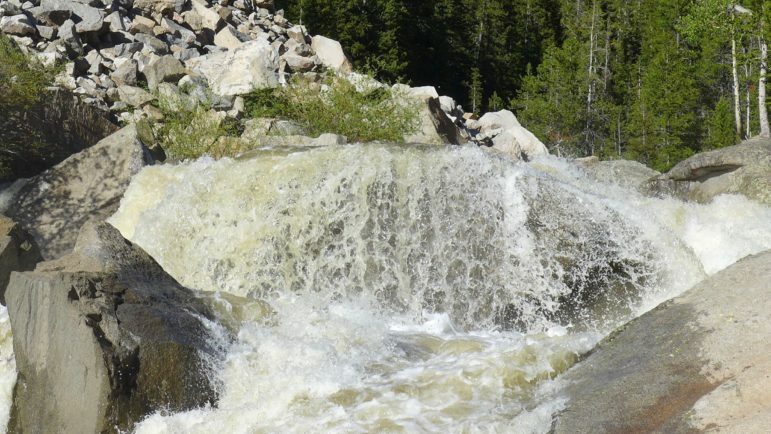 The ability for Glenwood to call for 1,250 cfs doesn’t seem to be much of an issue in the case, as that’s the same amount of water that the Shoshone hydropower plant upstream of the proposed whitewater parks has been calling downriver since 1902. But flows of 2,500 and 4,000 cfs are apparently a different matter. 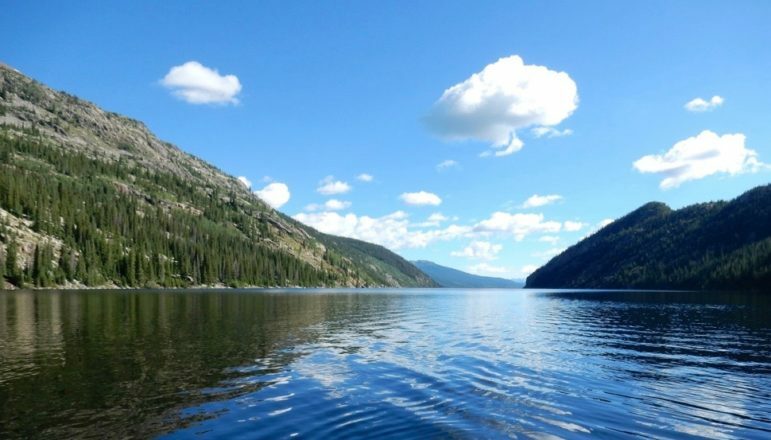 “We see nothing substantiating that there is any demand for water-based recreational experiences beyond those that are already available in view of the current stream regimen,” wrote attorneys for Homestake in 2014. Yet the city has so far managed to file signed stipulations in water court with Denver Water, Ute Water Conservancy District, Orchard Mesa Irrigation District, Grand Valley Water Users Association, Ute Water Conservancy District, Glenwood Hot Springs Lodge and Pool, Bureau of Land Management and Colorado Dept. of Transportation. The most recent of those agreements approved in Div. 5 water court in Glenwood Springs was with CDOT on July 25 and with Denver Water on May 31. 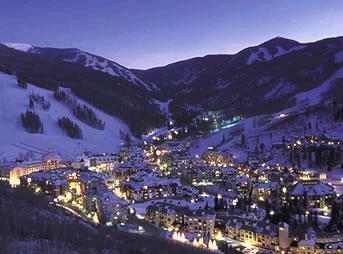 The agreement with Denver Water includes a provision where Glenwood Springs will not oppose a future, and as yet undefined, project to develop an additional 20,000 acre-feet of diversions from the West Slope, as contemplated in the 2013 Colorado River Cooperative Agreement, or CRCA, which Glenwood Springs signed. 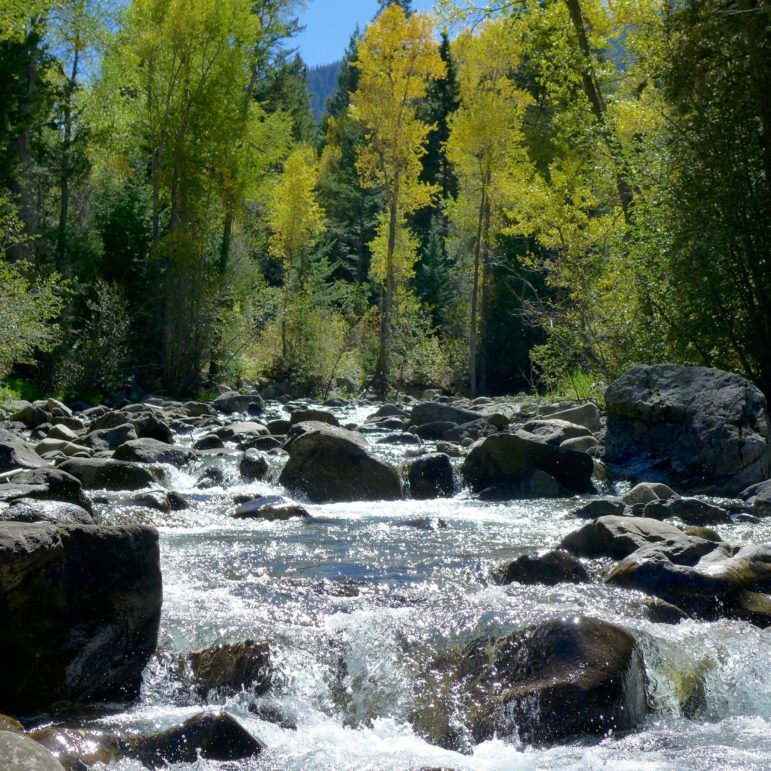 “We’ve just agreed that we’re not going to have our water right impede that project once it’s defined and agreed to by the signatories of the CRCA,” said Mark Hamilton of Holland and Hart, the attorney representing Glenwood Springs in the case (2013CW3109). Glenwood Springs has also reached conceptual agreements with the Colorado River District, West Divide Water Conservancy District and the town of Gypsum, but has yet to file signed stipulation agreements with the court. Also in the case, but in support of Glenwood Springs’ application, are American Whitewater, Western Resource Advocates, and Grand County. Judge James Boyd oversees water court proceedings in Div. 5 water court. The city’s application is still before the water court referee, who works with opposing parties to see if settlements can be reached before referring the case to the judge. The referee has given the parties at least until Oct. 27 to see if agreements can be reached, but extensions of time are not usually hard to obtain. Hamilton is set to meet on Sept. 8 with representatives from Aurora and Colorado Springs in another effort to reach an agreement. It will be the fourth such meeting since February. Joe Stibrich, the water resources policy manager for Aurora Water and a member of the board of the Homestake Steering Committee, said last week he couldn’t discuss the ongoing settlement negotiations, but did say Aurora and Homestake Partners were working in good faith. He also said, however, that the concerns already articulated by the two cities to the court and CWCB are still outstanding. Aurora and Colorado Springs are both parties to the Eagle River Memorandum of Understanding, which is tied to the Homestake Reservoir and Tunnel. 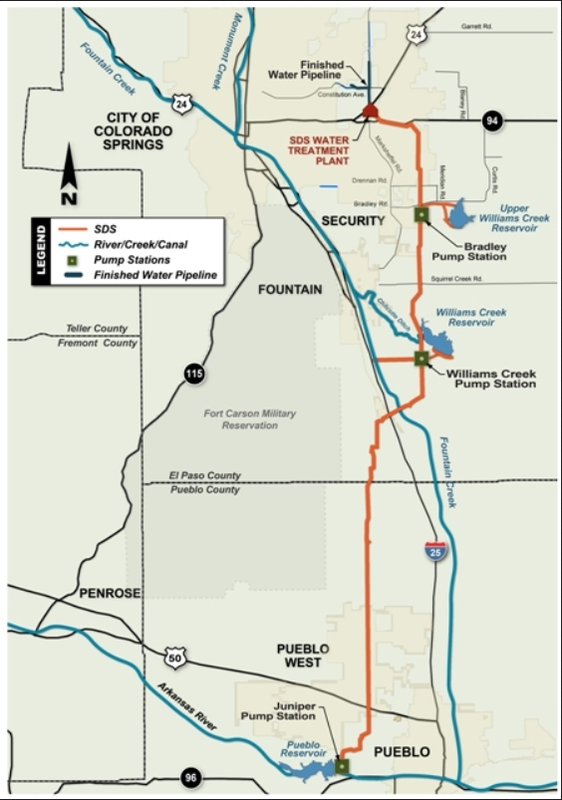 The 1998 agreement allows for a new water supply project in the upper Eagle River basin that would provide 10,000 acre-feet of water for a variety of West Slope entities and 20,000 acre-feet for Aurora and Colorado Springs. 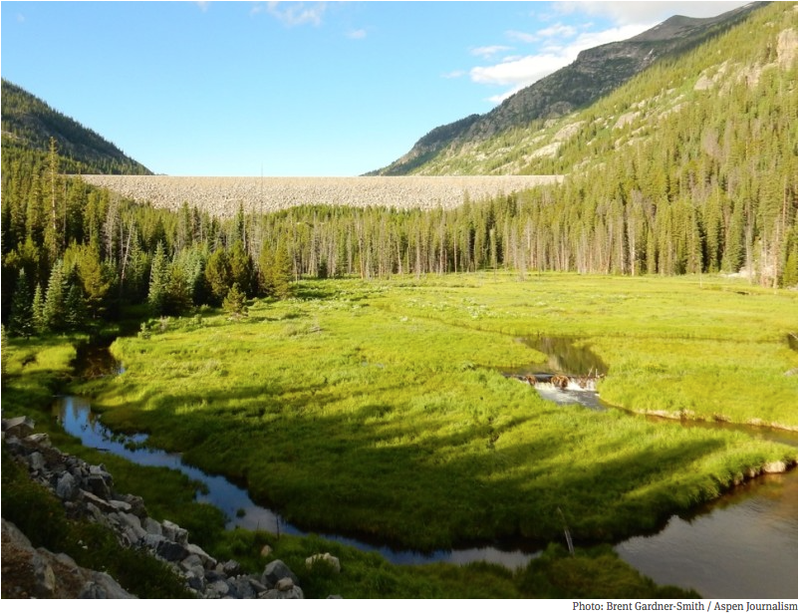 Such a project is now being actively studied, and may include a new dam on lower Homestake Creek that would flood complex wetlands. Hamilton put a clause in the draft water rights decree that Glenwood Springs “shall not use the RICD water rights as a basis to oppose” projects described in the Eagle River MOU. There is likely more than the Eagle River MOU of interest to Aurora and Colorado Springs. Looking up the Colorado River toward Glenwood Springs at Two Rivers Park, where the city of Glenwood may someday build a whitewater park. The city has been working since 2013 on securing a recreational water right for three such parks on the river. Even if an agreement can be worked out with Aurora and Colorado Springs, Glenwood Springs will still need to come to terms with the Colorado Water Conservation Board, which recommended in June 2015 that the water court deny the city’s RICD filing. The CWCB is charged by the state legislature with reviewing proposed RICDs and then making a recommendation to the water court. 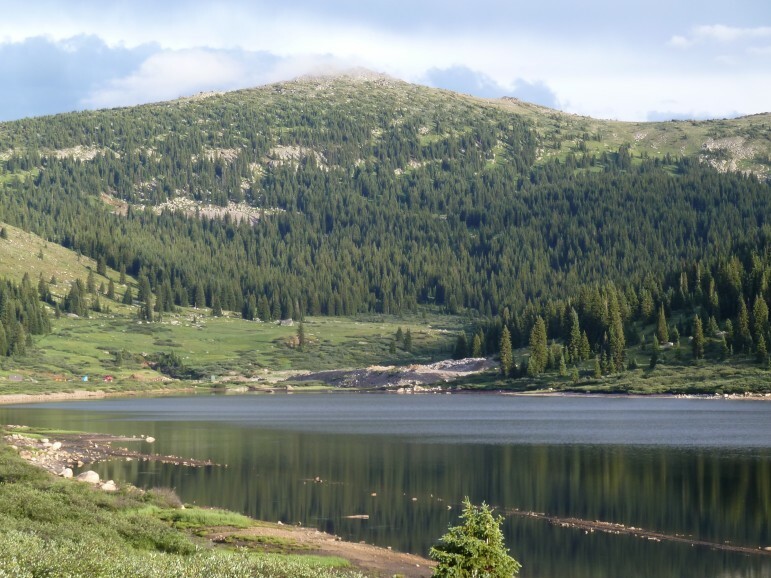 When it came to Glenwood’s filing, the CWCB board of directors concluded in an 8-to-1 vote that it would “impair Colorado’s ability to fully develop its compact entitlements” and would not promote “the maximum beneficial use of water” in the state. The state agency also directed its staff to oppose Glenwood’s filing in water court. It’s not clear at this point how Judge Boyd might handle the recommendation-to-deny from the CWCB, or if Glenwood Springs might be able to get the CWCB to change its stance opposing the proposed water right. “If we reach settlements with Homestake it’s possible that the CWCB would then reconsider and change its recommendations,” Hamilton said. Editor’s note: Aspen Journalism and the Aspen Daily News are collaborating on coverage of rivers and water. The Daily News published this story on Monday, Sept. 5, 2016. 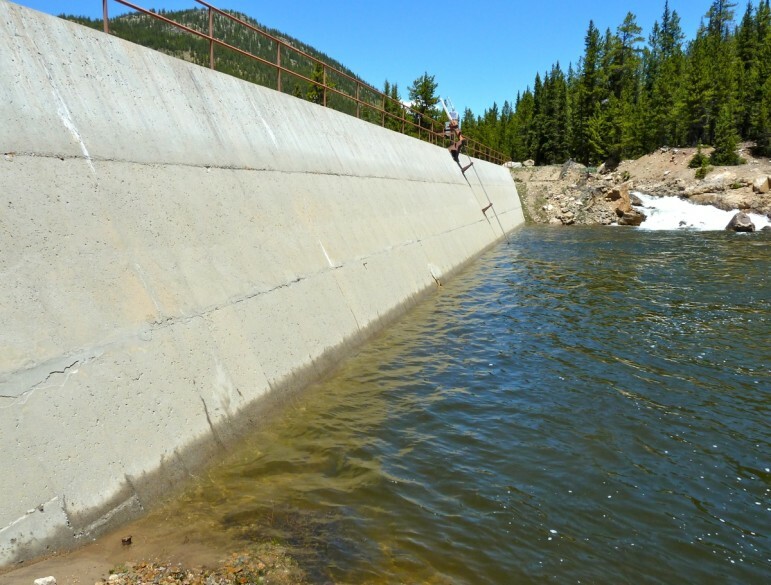 The dam that forms Homestake Reservoir on Homestake Creek, a tributary of the Eagle River. An agreement allows for more water to be developed as part of this transmountain diversion project. James Eklund, the director of the Colorado Water Conservation Board, invoked his Western Slope heritage at a “Summit on the Colorado Water Plan” hosted Saturday in Rifle by the Garfield County commissioners. “The mantra I grew up with in Plateau Valley was not one more drop of water will be moved from this side of the state to the other,” said Eklund, whose mother’s family has been ranching in the Plateau Creek valley near Collbran since the 1880s. Eklund was speaking to a room of about 50 people, including representatives from 14 Western Slope counties, all of whom had been invited by the Garfield County commissioners for a four-hour meeting. The commissioners’ stated goal for the meeting was to develop a unified voice from the Western Slope stating that “no more water” be diverted to the Front Range. “That argument had been made, probably by my great-grandparents, my grandparents and my parents,” Eklund said. “And I know there are a lot of people who still want to make that argument today, and I get that. But it has not done us well on the Western Slope. The “seven points” form the basis of a “draft conceptual framework” for future negotiations regarding a potential transmountain diversion in Colorado. The framework is the result of the ongoing statewide water-supply planning process that Eklund is overseeing in his role at the CWCB. Eklund took the helm two years ago at the CWCB after serving as Gov. John Hickenlooper’s senior deputy legal counsel, and he’s been leading the effort to produce the state’s first water plan, which is due on the governor’s desk in December. The second draft of the plan includes the seven points, even though the Colorado River Basin Roundtable, which meets monthly in Glenwood Springs under the auspices of the CWCB, is still on the record as opposing their inclusion in the water plan. That could change after its meeting on Monday. The outflow of the Bousted Tunnel just above Turquoise Reservoir near Leadville. 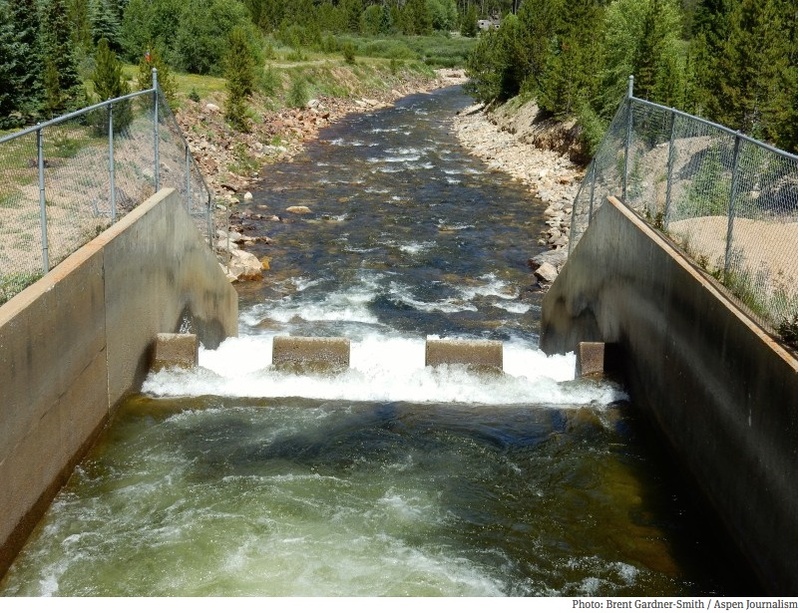 The tunnel moves water from tributaries of the Roaring Fork and Fryingpan rivers under the Continental Divide for use by Front Range cities, and Pitkin County officials have concerns that more water will someday be sent through it. 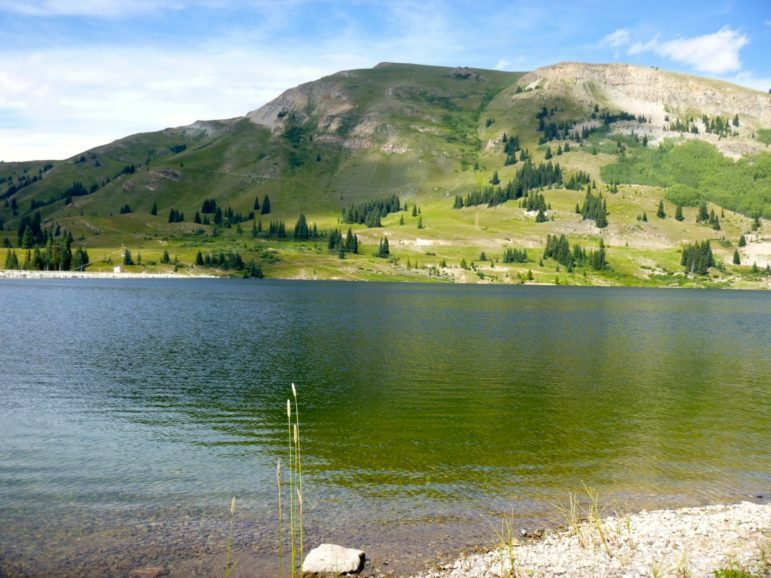 The “seven points” seeks to define the issues the Western Slope likely has with more water flowing east under the Continental Divide, and especially how a new transmountain diversion could hasten a demand from California for Colorado’s water under the 1922 Colorado River Compact. Under Colorado water law a Front Range water provider, say, can file for a right to move water to the east, and a local county or water district might have little recourse other than perhaps to fight the effort through a permitting process. But Eklund said the points in the “conceptual framework” could be invoked by the broader Western Slope when negotiating a new transmountain diversion. As such, a diverter might at least have to acknowledge that water may not be available in dry years, that the diversion shouldn’t exacerbate efforts to forestall a compact call, that other water options on the Front Range, including increased conservation, should be developed first, that a new transmountain diversion shouldn’t preclude future growth on the Western Slope, and that the environmental resiliency of the donor river would need to be addressed. “We’re just better off with them than without them,” Eklund said of the seven points. The downstream face of the dam that forms Homestake Reservoir on Homestake Creek, a tributary of the upper Eagle River. 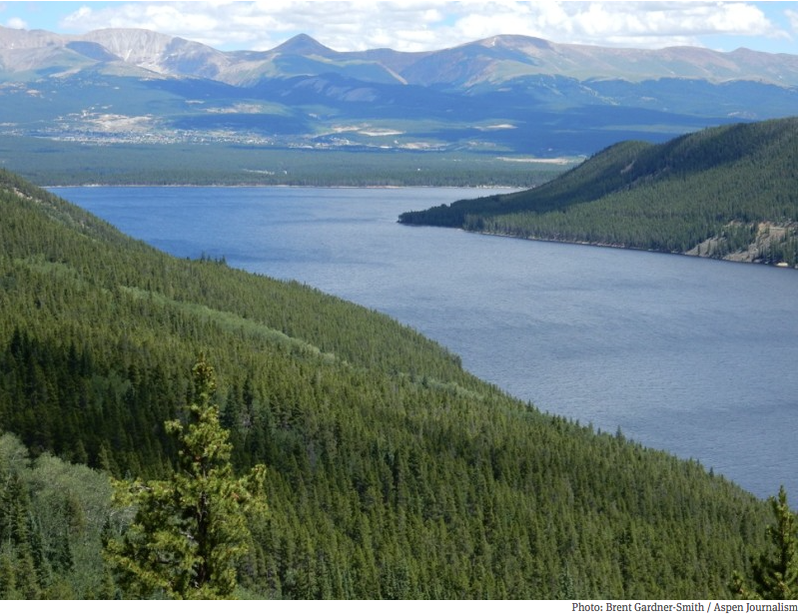 A tunnel moves water from Homestake Reservoir to Turquoise Reservoir, near Leadville. A cap on the Colorado? Eric Kuhn, the general manager of the Colorado River District, which is based in Glenwood Springs and represents 15 Western Slope counties, told the attendees that three existing agreements effectively cap how much more water can be diverted from the upper Colorado River and its tributaries above Glenwood Springs. 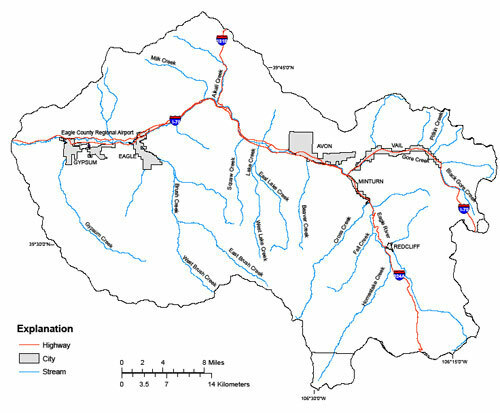 The Colorado Water Cooperative Agreement, which was signed in 2013 by 18 entities, allows Denver Water to develop another 18,000 acre-feet from the Fraser River as part of the Moffat, or Gross Reservoir, project, but it also includes a provision that would restrict other participating Front Range water providers from developing water from the upper Colorado River. A second agreement will allow Northern Water to move another 30,000 acre feet of water out of the Colorado River through its Windy Gap facilities, but Northern has agreed that if it develops future projects, it will have to do so in a cooperative manner with West Slope interests. And a third agreement known as the Eagle River Memorandum of Understanding will allow Aurora and Colorado Springs to develop another 20,000 acre feet of water as part of the Homestake project in the Eagle River basin, but will also provide 10,000 acre feet for Western Slope use. “So effectively these three agreements, in effect, cap what you’re going to see above Glenwood Springs,” Kuhn said. The Moffat, Windy Gap and Eagle River projects are not subject to the “seven points” in the conceptual agreement, and neither is the water that could be taken by the full use of these and other existing transmountain projects. “So when you add all that up, there is an additional 100,000 to 150,000 acre-feet of consumptive use already in existing projects,” Kuhn said. But beyond that, Kuhn said Front Range water providers desire security and want to avoid a compact call, just as the Western Slope does. “We’ve been cussing and discussing transmountain diversions for 85 years,” Kuhn added, noting that the Colorado Constitution does not allow the Western Slope to simply say “no” to Front Range water developers. 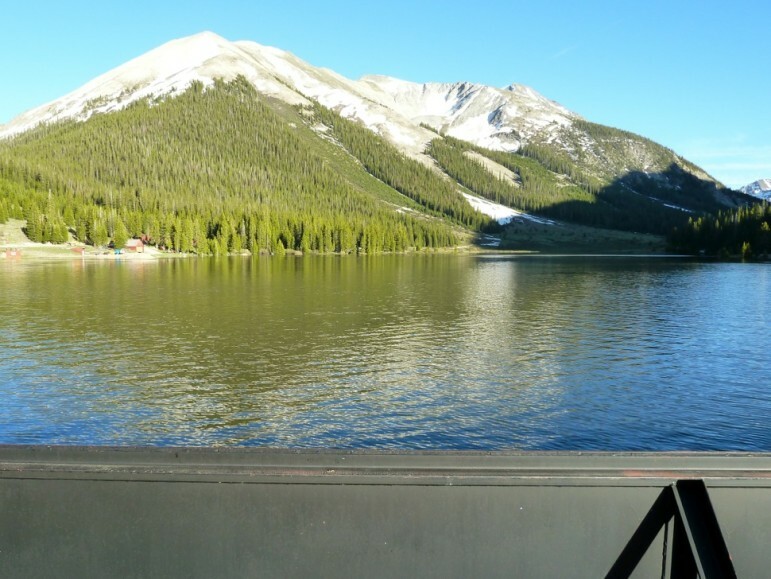 rquoise Reservoir, which stores water brought under the Continental Divide from the Eagle, Fryingpan and Roaring Fork river headwaters. Rachel Richards, a Pitkin County commissioner, told the attendees that she would like to see more water projects than just new transmountain diversions be subject to the seven points. 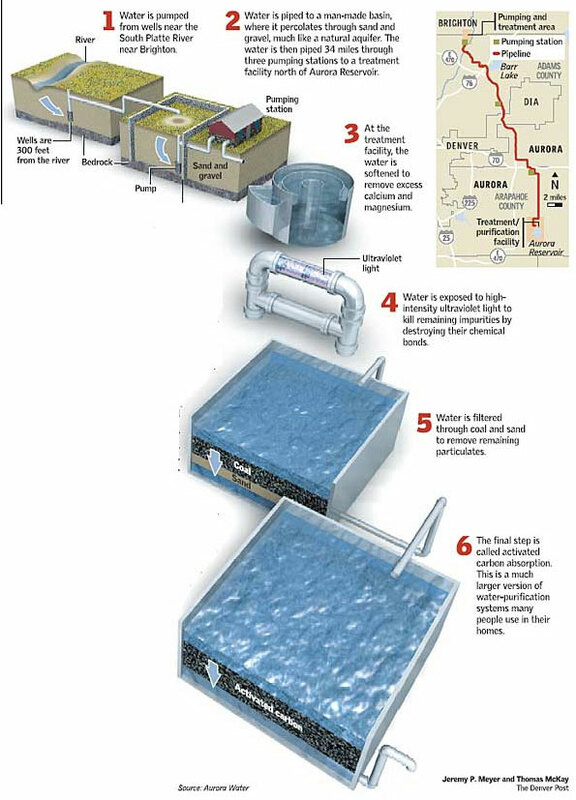 As part of the state’s water-supply planning efforts, state officials have designated a list of projects as already “identified projects and processes,” or IPPs, which are not subject to the seven points. “We would like to see the same environmental standards, and community buy-in standards, applied to increasing existing transmountain diversions or IPPs,” Richards said, noting that the “IPPs” seem to be wearing a halo. “They need to go through just as much vetting for concern of the communities as a new transmountain diversion would, and we’re probably going to see a lot more of them first,” she said. At the end of the four-hour summit on the statewide water plan, Garfield County Commissioner Mike Sampson said he still had “real concerns” about the long-term viability of Western Slope agriculture and industry in the face of growth on the Front Range, but he offered some support for the seven points. “I think the seven points is probably a good starting position,” Sampson said. He also said Garfield County would make some edits to a draft position paper it hopes will be adopted by other Western Slope counties. But Sampson was advised, and agreed, that it might be productive to reframe that key statement to articulate what the Western Slope would support, not what it would oppose. Editor’s note: Aspen Journalism is collaborating with the Glenwood Springs Post Independent and The Aspen Times on coverage of rivers and water. The Post published this story online on July 25, 2015. Living in the West offers many advantages. Wide open spaces, majestic mountains and amazing recreational opportunities, to name a few. Still, there are challenges and water is certainly one them. If you’ve seen the recent news, extreme drought is taking its toll in California. In light of this, we caught up with our own water planners – Abby Ortega and Leon Basdekas – to learn if what’s taking place with our neighbors could affect our community and why we need to stay involved in what’s happening around the region. Some of our customers many ask, could what’s taking place in California happen in Colorado? Extreme drought can happen anywhere, and we are certainly not immune. We continuously monitor our water supply situation and maintain a storage reserve in our reservoirs to meet customer demand for at least one year. Why should we take an interest in or follow what’s happening with drought in the West? In Colorado Springs and across the Front Range, we are heavily reliant on the Colorado River for our water supply. The Colorado River starts in Colorado, but we only keep a portion of the flow for use in the state per the Colorado River Compact. The Colorado River also serves Arizona, Utah, Nevada, Wyoming, New Mexico and California (see below for a breakdown). There is also an obligation to Mexico. When any of the states or Mexico are in an extreme drought, their reliance on the Colorado River water may increase, possibly resulting in ripple effects that could negatively impact us. At any given time, the Colorado River supplies about 70 percent of our community’s water. Drought can also affect the levels in Lake Powell and Lake Mead, which part of the western United States relies on for power production. Will Colorado Springs experience any impact from the situation in California? The California drought will not have direct impacts to our community’s water supply yet. We are working closely with the Upper Basin States to create a proactive contingency plan in the event that storage levels in Lake Mead and Lake Powell drop to critical levels. What is Colorado Springs Utilities doing to help protect our community from this type of situation? Maintaining a dependable water supply for Colorado Springs residents and businesses is one of our community’s greatest challenges. Continuous long-term water planning is the reason we have a reliable water system today that supports our economy and quality of life. For us, planning is part of our daily responsibilities and includes factors such as water sources, demand, water rights, infrastructure, storage and much more. In addition, we are currently updating our Integrated Water Resource Plan, which provides the roadmap for sustainably addressing water supply and demand issues, while reflecting our community values. What can customers do to help? The intelligent use of water will always be a priority for our community, which has done a great job of adapting to our semi-arid climate. Our customers continue to find ways to use water wisely and we can help. A good place to start is our website, which has free xeriscape class schedules, efficiency ideas, DIY videos, and more. Folks should also join in the conversations we’re having through the Integrated Water Resource Plan process. There are opportunities for input, whether online or at upcoming meetings. More Colorado Springs Utilities coverage here.